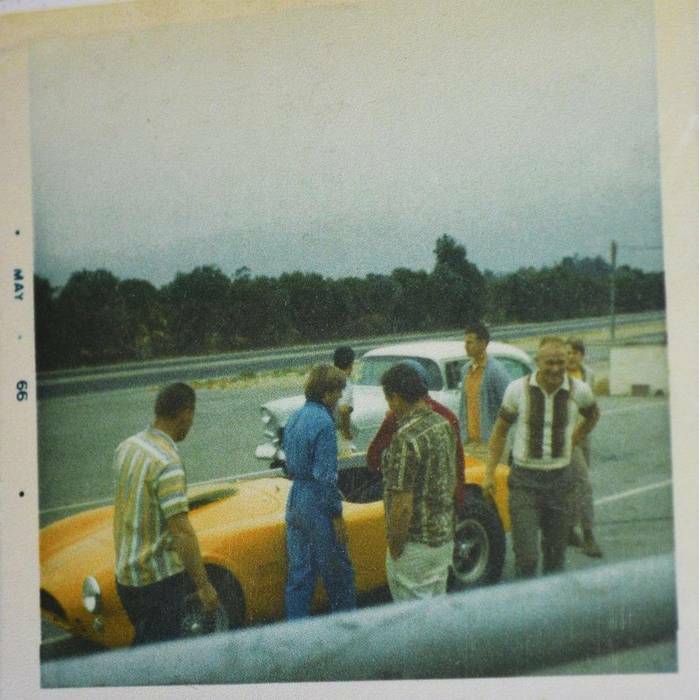 Came across this pic tonight of Dennis Wilson of the Beach Boys (Blue Coveralls) at the track May 1966.......very cool. Looks like wire wheels on the front and perhaps Torque Thrust D on the rear? Have you watched the drag racing movie he made back in the 1970's with James Taylor? I think it was called "Two Lane Blacktop". Not exactly a drag racing movie, but more of a road trip saga that starred a big block engined tilt front clip '55 Chevy. San Fernando Raceway in California and the Cobra supposely was his. I wonder what number it was???? Amazing what you can find on the internet. 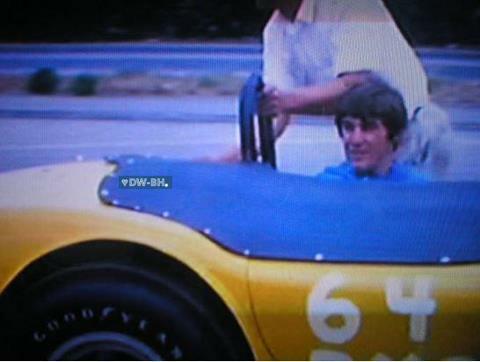 Looks like Dennis Wilson had two yellow Cobras (289 and 427) at the same time. In this Sunday’s Automobiles section, Rex Roy writes about the ’32 Ford hot rod immortalized on the cover of the 1963 Beach Boys album, “Little Deuce Coupe.” The coupe, customized first in Detroit and later treated to a top-chop by the legendary George Barris, has been restored to its cover-model glory and is in the hands of the original owner’s son. Earlier this year, Brian Wilson, the leader of the Beach Boys, told AutoWeek that he didn’t recall any of his brothers and bandmates being heavily involved in cars or drag racing, as one might suppose from the numerous Beach Boys hits. But as many people have documented, Mr. Wilson’s memory may not be what it used to be. His brother Dennis used to bring not one but two Shelby Cobras to San Fernando Raceway in California in 1963-64. One was a A/Sport 427-cubic-inch roadster that he power-shifted on the strip, the other was a matching yellow 289 Cobra. At the time, I was a kid working the pit gate for 50 cents an hour. My dad was the track’s reporter, photographer, record-keeper and trophy man. I remember Dennis politely asking our small crew that his name not be announced over the P.A. system, nor mentioned in race reports. And he was referred to only as “Mister X,” an identity that would occasionally appear on the list of class winners that my father typed each week for local and racing newspapers. Though regular racers and spectators knew the mystery man’s secret, they left him alone. I only witnessed one request for an autograph — from my father, late one Sunday, on behalf of my younger sister. Dennis asked for her name, personalized the signature on one of the day’s timing slips, collected his cheap trophy and hit the road with his pair of yellow Cobras. This is the first I have heard of Dennis Wilson having not just one, but 2 Cobras. He had good taste in cars. If it really took place in 1963 or 64, it's unlikely that he had a 427. I'm sure that Ned will correct me if I err (admittedly, a rarity), but the big block Cobras were born in 1965. Mark, Dave Wallace's article was recently written, so it was based on memory. They must have guessed at the dates as being '63-'64, whereas the date on the photo was May 66, by which time Dennis could have had both a 289 and a 427. Hey great pictures. I remember Dennis Wilson from San Fernando drags. I had a 289 Cobra and the first time he went there he borrowed my seat belts and shoulder harness so he could run his cobra that day. My cobra held the B sports record for a whole year. The next time I saw him there, he had built his cobra up and was turning some really good times.